Some stores sell comics in 3-packs, but this one sells 4-packs! Comics aren’t just for Walmart anymore, it seems. My spies found a new non-direct market outlet for comics in suburban Chicago. 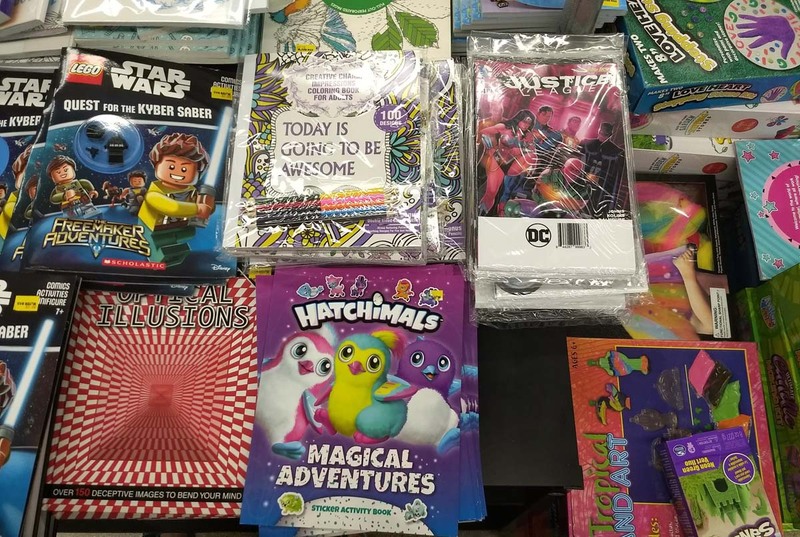 It seems the Five Below discount chain is selling comic packs for $5. And where most people are used to seeing three comics in a comic pack, these are labelled “4 Pack Comic Bundle,” so take that pushers of chintzy 3-packs! 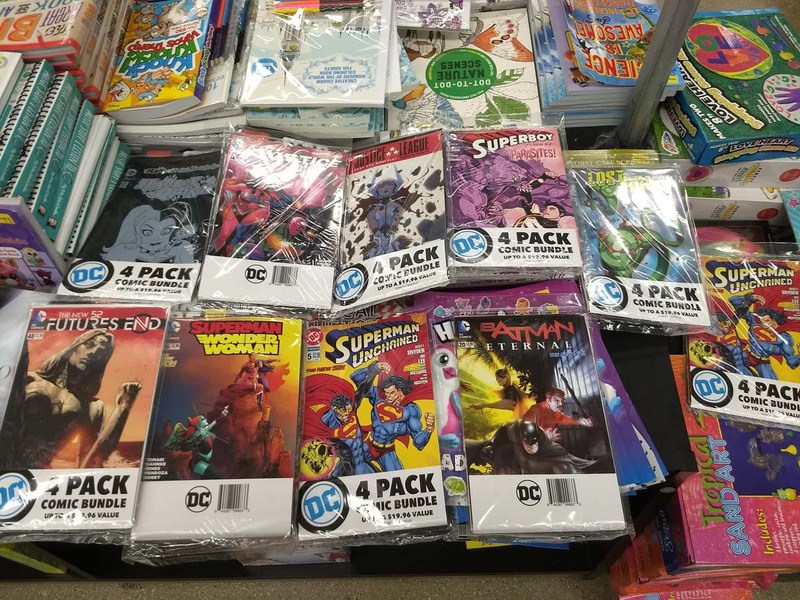 Looks like an assortment of New 52 era DC books, although whether this is coming directly from DC or is repackaged by someone else is an open question. To paraphrase Shakespeare, “a remainder by any other name would smell as sweet,” if you get my drift and you’re still better off with the $1 bin (25¢ bin, if you’re fortunate) at your local comic shop for these prices. Still, it’s another venue for new reader to pick up part 4 of a 6-part story. In the case of that Future’s End, part 48 of 52 or in the case of that issue of Batman Eternal, part 20 of 52. Yes, the longer serialization of current stories does have an effect on how accessible the contents of a comic pack might be in this day and age. Hey, is that a Rags Morales variant cover for Justice League #34? I think it is. Please note that the Lego Star Wars activity books do have some comics in them, too. Comic packs aren’t the only show here, strictly speaking. Just to have the info as part of the conversation, these things have been around for years. I’ve seen them at 5 Below for at least five years and at other dollar stores and discount places (if you know what an Ollie’s is) for over a decade at least. Mostly it’s reprint overstock. Not exactly a new market. I remember when the drug store would have three or more packs with the title cut off of the book. The slicer would hit a couple the pages, but they were a cheap way to get comic books when I was a kid. I think they were like a buck or something. You all are really late. Five Below has been selling these for a long time already.